...but it sure can take great screenshots. This week Team Pepto takes a look at the notoriously awesome screenshot artist, jEEborz. Read on as we expose some of his greatest tricks in screenshot taking and indulge you with some valuable information. I am known to many as jEEborz, or jEE for short, but my real name is Paul. I don't know what in the world a jEEborz is, so please don't ask me for you will never learn the answer. I enjoy playing soccer, fiddling in photoshop, reading, and playing Halo 3 of course. An odd combination of hobbies, but true nonetheless. I am still attending highschool, hating it and loving it, but my friends and Halo 3 make it seem worthwhile. How's English going? ;) /inside joke. Who was your biggest inspiration when it came to screenshots, and what has kept you going? The kick-start to my Halo 3 screenshot taking 'career' was DarkVegaShadow, although he is unknown to most of the screenshot community, sadly. Showcasing the well-known Hayabusa armor, DarkVega produced many screenshots, each encouraging me to create my own. And thus, I started taking screenshots, my only desire to share my creations with the Halo community and perhaps inspire others as DarkVega has inspired me. I love being constantly creative with my screenshots, I relish (No, not the condiment of chopped sweet pickle you put on your hot dogs) the challenge to come up with new and different ways to bring the community an innovative screenshot, and the resulting pride of knowing that I've created something people will like is a satisfactory reward. The ever-growing Halo 3 community has always given me great feedback on my screenshots and fueled the fire that is my screenshot-taking passion. With each picture I take, I strive to incorporate the community's feedback to produce a better screenshot than my last one. Sometimes I try to switch things up and give the community something they don't expect from me. For instance, campaign screenshots; however, it doesn't always work out. I've had feeble attempts at taking a campaign screenshot, especially during the ODST screenshot challenge for a Mythic Map Pack code, and it was terribly frustrating. Too frustrating. The ODST's and marines would run around and crouch in a dark corner when all the fighting was happening somewhere else. I once gave my last ODST companion my Spartan Laser, and rode up next to him with a mongoose. I had high hopes that he would get the idea that I meant for him to hop on so we could drive around wreaking havoc. But the Artificial Intelligence (What intelligence, I ask?) charges right into the middle of the battle, and gets immediately sniped. I could only stare at the screen with escalating anger, as my expectation of creating an epic screenshot to share with the community was crushed. Either that or the enemy doesn't cooperate with me. Like, when I said "Don't shoot me for a minute, I'm taking a screenshot" to a group of Brutes, and after expecting them to wait patiently until I unleash my wrath upon them and 4 shot those noobs, they interrupted my screenshot-taking attempt and splattered me with a chopper. Just kidding. But seriously, I don't know how my friend Dusty Boy T takes all these amazing screenshots in campaign, but he's done an astounding job, without any signs of stopping in the near future. And hopefully you don't as well! Are there any features in Halo 3 that you would like to add in Theater or in gameplay to benefit screenshot-taking? Maybe a fast-forward button in Theatre could be added. Not the FF button that shows up after you've rewinded, one that you can press at the start of the film. Skimming through 10+ minutes of a film to get to the part you want gets really boring, because sometimes, people tend to fool around for a while before we actually get down to the actual screenshot-taking. Also, perhaps Bungie could fix the Blackout bug, where you take a screenshot but most of the picture turns out white. Blackout could be a much better map for taking screenshots without this minor quandary, but they haven't expressed any concern or plans for fixing this, to my knowledge. You don't need to worry about Blackout - You're good enough without Blackout! Are you surprised at your level of involvement in the screenshot community? Did you ever imagine you would be where you are today? Not in a million years. Back when I was a noob in Halo 3, thinking that the shotgun + beatdown combo was the most skilled tactic anyone could accomplish (I mean seriously, it took some serious determination and patience to remain hidden in the shadows for an extended period of time to finally jump out of the darkness and slay your enemy), I also thought the blue room would be my gateway to multiple opportunities to be on Bungie Favourites. But now I look back and laugh. I know a lot better screenshot effects, things I wouldn't have even dreamed of creating or finding out, let alone use. People are actually asking me for help with screenshots, not the other way around. Has your work ever been featured on Bungie Favorites or won any public contest? No, sadly, my screenshots have not made Bungie Favourites' yet. However, I have won a screenshot contest for a Mythic Map Pack code with "Kram5's Might". I was desperate for one of these God-given series of random numbers and letters which would allow me to wander freely along the 3 Mythic maps. I returned home one day with a shiny code waiting in my email inbox, and after minutes of celebration, I punched in the code on the Xbox 360 dashboard and waited for what seemed like an eternity to download the Mythic Map Pack. Oh... I need to get my xbox fixed to see these new maps if these are described as "God-given" and "Shiny new code"! Do you visit any off-site forums or communities? I visit FacilityB5d.com quite frequently, but Bungie.net has always been my home. My first stop is always Aberrant Designs, of which I am one of the proud Admin and titled, "Aegis: The Shield". Started by CAUS7IC, we were originally a group based on Halo 3 screenshots, but over the months since creation, we've expanded to graphic design/digital art and many other art forms. Within our forums, many extraordinary pieces of art have been created and several of those have had the chance to be showcased on the Bungie Blog. Other groups I have the joy of being in are Black Water Ops, The 7th Wonder, Screenshot Pho7ographers, and the Revisionaries. Each of these groups are great communities and I'm glad to be a part of them. Bungie.net is a very homey place, isn't it? What is your favorite map for taking screenshots? I can't pick one. The Legendary Map pack has become a new chapter in screenshot taking, with the introduction of the filters. Ghost Town shows a lot of potential for screenshots, with the scenery being appealing aspects in pictures. But Avalanche has been a favourite for many, I'm sure, with the famous Spartan Laser room. Screenshots created from that room are more plentiful than the hairs on your head. Unless you're bald. But there's nothing wrong with that. Do you have a favorite or most known screen you would like to talk about? My favourite screenshot I have taken has to be "Halo". Endless questions have battered down my wall of reluctance to release the information on how to take this screenshot. To all those who have spent their precious time to annoy me, the answer is an Overshield. Taken within Ghost Town, along with the Pen and Ink and Juicy filters, I was able to capture the perfect circle you see in the screenshot, which has resulted in many Friend requests and PMs over the months. Hopefully with this piece of information, people may stop badgering me. Let's hope so. But at the same time let's hope that they can use that info to create some fantastic stuff. Are you still actively taking screenshots? Not as much as I'd like to be, I'm afraid. I have yet to find the motivation to start taking screenshots, but with more and more people attaining the Mythic Map Pack, I should start again quite soon. All I need are a couple of my friends. Sadly, finding a new effect these days is like finding a needle in a haystack. My friend Gemnice has found a few of those needles though, so keep it up! Would you like to add anything you want the community to know about you? Not really, unless the community would like to know that I prefer cheese pizza over pepperoni pizza, then I can't think of anything that the community would like to know about me. That's some fascinating info, jEE, thanks for sharing. Would you like to make any shout outs? Of course. I'd like to thank my mom because, without her, I wouldn't have my 360 and Halo 3. 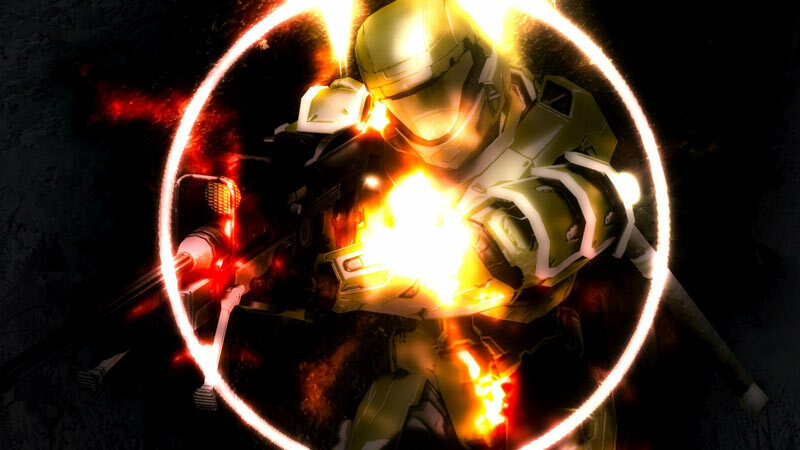 I would never have met the friends I have today over Xbox Live or enjoy the endless fun Halo 3 has to offer. So thanks Mom. I'd also like to thank CAUS7IC for creating Aberrant Designs and making it what it is today. The amount of dedication he has shown to the group cannot be matched. 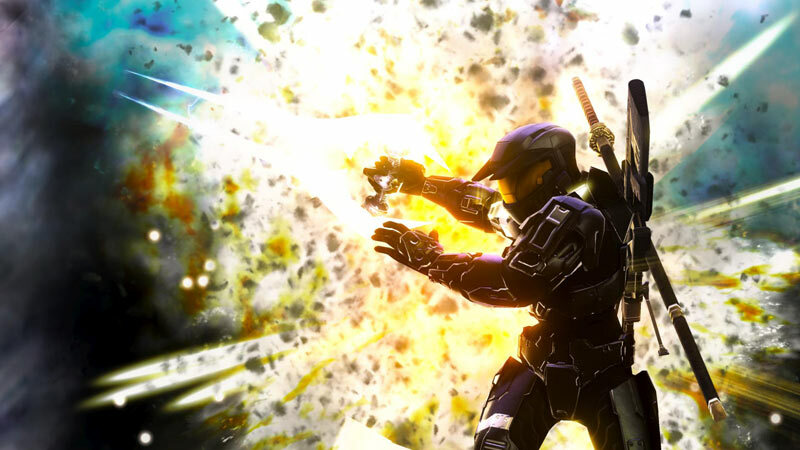 Finally, I'd like to make a shout-out to all my Halo buddies, thanks for the great times and the ones to come. I'm sorry for tea-bagging you when I kill you in custom games. I love you guys. And with that jEEborz, I'd like to make my shout-outs. Thanks to YOU for doing this interview, jEEborz! It's been a blast! My next shout-out is to COL0NEL SANDERS, who I could definitely not have done this without him. Pat this man on the back! Lastly, let me direct you to jEEborz' incredible Bungie.net gallery of eye-candy located right here. ¡Caio!